Read a sample for free! 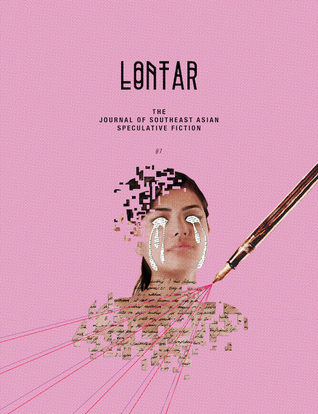 This issue of LONTAR presents speculative writing from and about Malaysia, Vietnam, Singapore, Laos, the Philippines, Indonesia and Korea. and speculative poetry by Bryan Thao Worra, Zeny May Recidoro, Brandon Marlon, Subashini Navaratnam, Russ Hoe, Christina Sng, Desmond Kon Zhicheng-Mingdé, and Cyril Wong. Boris had learnt not to seem frightened, no matter how much his heart shook and his breath stuttered. But his eyes stopped seeing; his mouth went dry. Because he refused to turn around he was not sure what the man looked like, but out of the corner of his eyes he saw the inhuman blue tufts of hair. He smelt the stale exhalations of the undead. He was wrong after all. It was only shaped like a man. When you had a proper look at it, it was not much like a man.